Signature Iron Doors are exquisite in beauty and durability. Ranking number one in the iron door industry nationwide, our team is confident we will provide the doors you envision. We carry over 20 different styles and welcome opportunities to custom build. This is our Medina style done for a customer near Mesa Arizona. Every piece is individually hand forged. 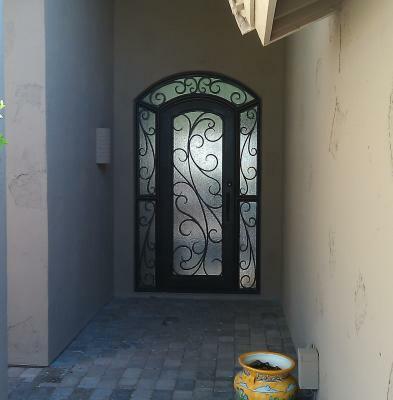 Call us and come visit our showroom in Phoenix Arizona to find out how you can obtain a custom Signature Iron Entry Door for your home.